The e-Residency Week of the Republic of Estonia is underway, and Estonian ambassadors and representatives of the e-Residency programme are meeting Estonian e-residents in seven major cities of the world (Paris, Washington, New Delhi, Istanbul, Kiev, London, and Berlin). They will introduce Estonian history, society and business environment, and discuss the opportunities of e-Residency. According to Ott Vatter, the acting manager of the e-Residency programme, interest in the events of the e-Residency week has been greater than expected, and registration for events closed last Friday when the venues were fully booked. In total, a thousand e-residents are expected to take part in the e-Residency Week. “As far as we are aware, this is the largest number of e-residents physically meeting each other,” he added. One of the aims of the e-Residency Week is to celebrate the fourth birthday of the programme. Lectures and meetings will give e-residents an overview of additional opportunities for cooperating with Estonian businesses. “There are e-residents in every major city of the world, they know Estonia quite well; on the one hand, they are interested in business contacts, but on the other hand, we can also offer them excellent new e-services – it is a chance to create beneficial business connections,” Vatter said. In the course of the e-Residency Week, companies like Holvi and Payoneer, as well as prominent e-residents like Alina Uvarova from Redwerk, Violaine Champetier de Ribes from Digeetrips, Emre Savaş from Reachpeople and Deepak Solanki from Velmenni will talk about the opportunities offered by the programme. One of the foreign representations taking part in the e-Residency Week is the Estonian Embassy in London and they are organising a seminar dedicated to the subject. “Representing Estonia every day, I have first-hand experience of what we are best known for. 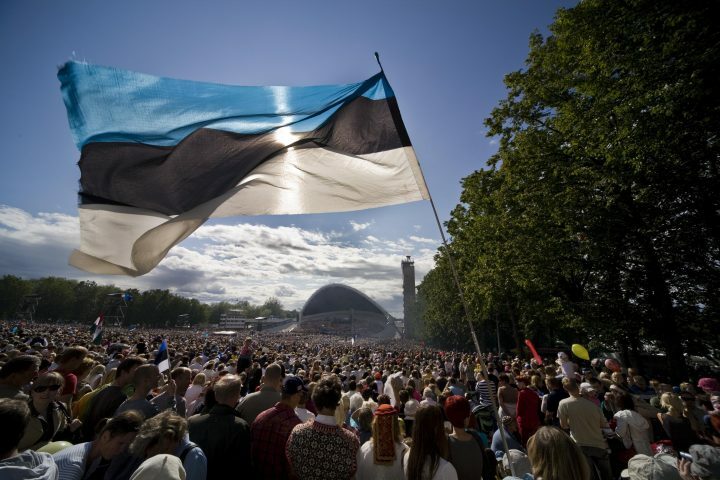 At least in terms of London, it can be said with certainty that e-Residency and our digital competence in general have become an important calling card for Estonia. The entrepreneurs of the United Kingdom are very interested in e-Residency,” Estonian Ambassador in the United Kingdom Tiina Intelmann said. She added that when it comes to business diplomacy, it is essential to transform this interest into close economic relations. e-Residency is a personal status granted by the Estonian state to foreign nationals, allowing them to use Estonian e-services without physically being in Estonia. The most popular services among e-residents have been related to starting companies and managing them online. By the end of 2018, e-residents had founded 6 000 companies and the profit of the e-Residency programme, collected through state fees and taxes, exceeded expenses by €10 million. In late 2018, the e-Residency programme presented the white paper of e-Residency, drawn up in cooperation with Estonian agencies and businesses, proposing several ways to make e-Residency more profitable, convenient and safe. According to Vatter, the events of the e-Residency Week have taken into account some of the recommendations of the white paper, such as showing more of Estonian culture, introducing Estonian history and encouraging more contacts between e-residents and Estonian companies.